Big Finish reveal individual episode titles and details for the upcoming UNIT:Extinction boxset. 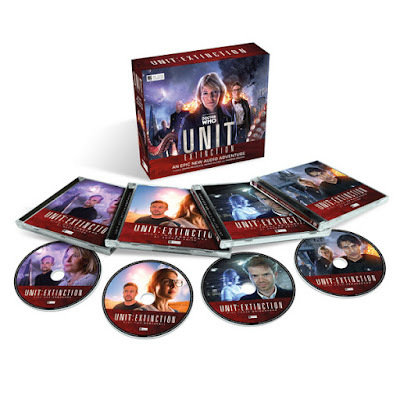 Set for release on the 9th of November, Big Finish have released episode titles and details for the first boxset in the new UNIT range. Other guest stars in the box set include Karina Fernandez as Jenna Gold, Tracy Wiles as Tim Stevens and Derek Carlyle as Tim Stevens.